Our Lemongrass Soap puts Sunshine in the shower. Known for its invigorating and antiseptic properties, the Lemongrass plant has been used for centuries in Traditional Indian medicine to treat infectious illness and fever. This fresh, earthy, citrusy scent reminds the spirit that life is good. 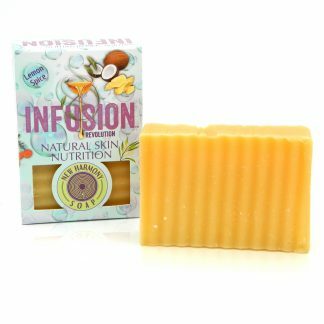 Use the Lemongrass Body Bar to feed your skin New Harmony Soap’s special phytonutrient infusion that heals, protects, softens and moisturizes your body.